The Great White Life – Trouble In paradise, Donovan’s latest blog. Hello again, in this blog I will be talking about something a little bit different. I will be talking about the trouble that this amazing and dynamic ecosystem is facing, the huge problem being caused is rooted to one small animal. During my time, with Volunteer White Shark I have learned just how much the little things matter to the large animals that we hear about day in day out. 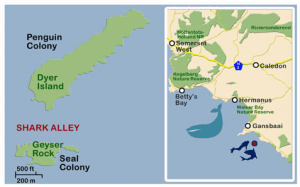 Here in South Africa there is an illegal trade of Abalone (Haliotis midae). Abalone is incredibly valuable commodity and can earn a poacher easily 30,000 (£1817.00) Rand in a day. The Abalone goes hand in hand with the drug trade and is all intertwined with gangs which is why this trade is difficult to crack down. 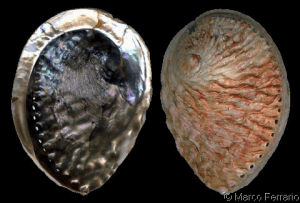 When Abalone reaches its end destination it is usually worth more than gold which is why it is so highly prized. This small Gastropod mollusc feeds on kelp much in the same way as do Sea Urchins. Kelp in the area is fast growing and if Abalone isn’t there to control it, it’ll grow out of proportion. Unfortunately, the famous Shark Alley were all so familiar with isn’t as shark filled as we’re led to believe as the kelp has overgrown in the alley stopping the sharks from making a swim through. The reason why the White Sharks (Carcharodon Carcharias) wont swim through the kelp is because they could in turn become tangled in the kelp. 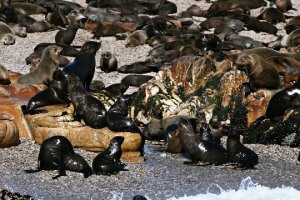 This has in turn altered the behaviour of the Sharks main food source, Cape Fur Seal (Arctocephalus pusillus), recently the seals have stopped foraging on fish. 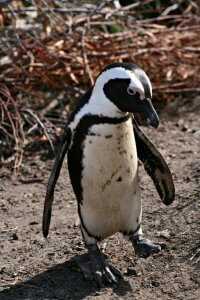 This may be due to commercial fishing destroying local fish stocks and has since caused the Seals to begin feeding on the protected and endangered species of African Penguin (Spheniscus demersus). True to widespread belief that White sharks are open ocean predators is incorrect as White Sharks are a shallow coastal predator which needs this shallow water ecosystem to stay in balance if it is to survive. When we talk about conserving White Sharks what we must first do is protect the small and lesser known animal Abalone. Thank you for reading this blog I’m sorry it was only a short one but this has to be highlighted as it is one small animal which in turn is a very large cog in the machine that is this incredible ecosystem.